The Elite Neoprene Dumbbell is perfect for jogging, aerobics, power walking, general exercise and physical therapy. 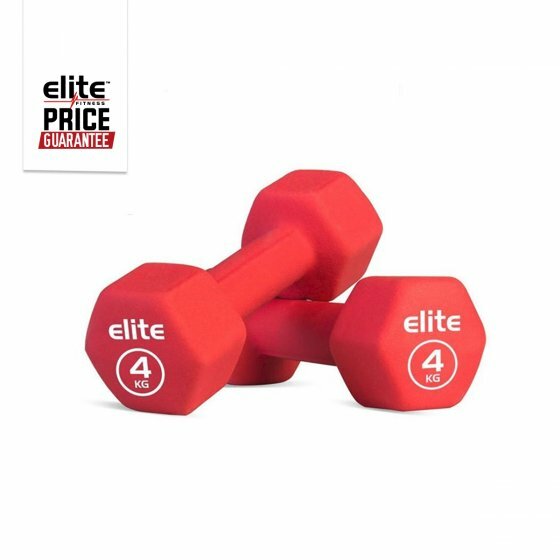 It is one of the most comfortable dumbbells to grip in your hands with its soft grip neoprene coating which is why it is very popular with any aerobic style training. Users don’t have to wear gloves to avoid getting rough hands with a Neoprene Dumbbell as the soft outer coating acts as a thin glove of it’s own.